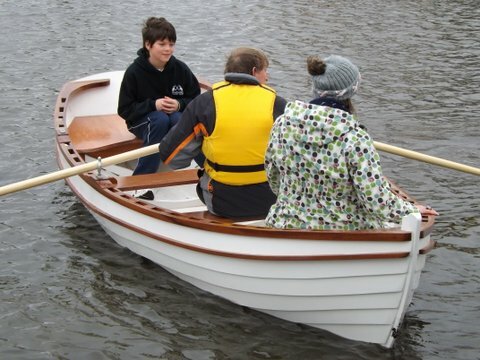 Interesting little rowing boat, built by the owner for his personal use, from a design by Walt Simmons of Duck Trap Woodworking in Maine, USA, and known as the Christmas Wherry. 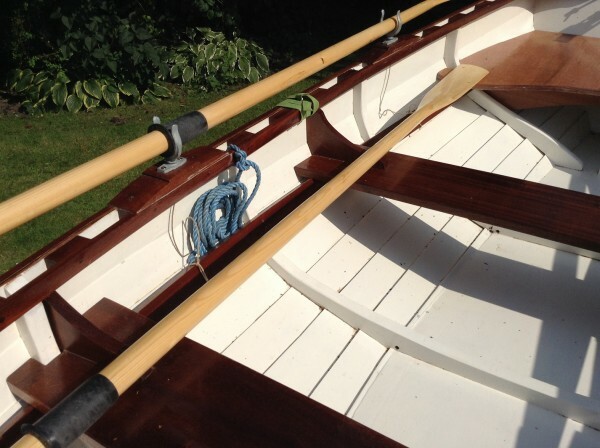 She has proved to be a stable little boat, easily rowed and a good load carrier, and has been in the water only a few times. 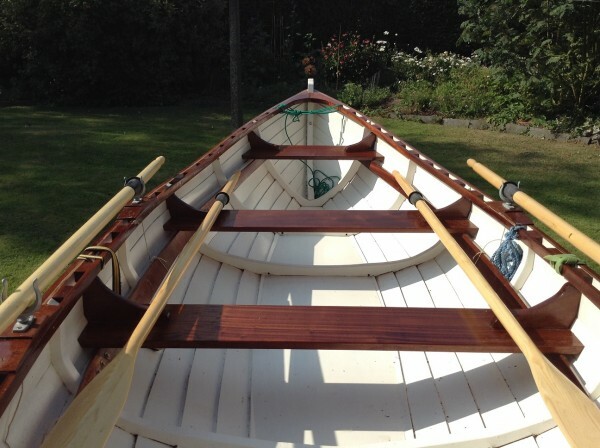 Built with marine plywood and epoxy so there will be no issue with plank movement and leaking, she is lightweight and stiff. 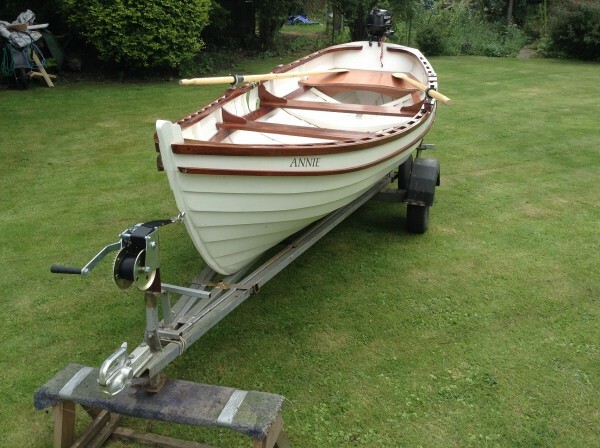 Comes with an outboard and a combination road trailer/launching trolley. Built using 9mm marine plywood all epoxy glued. Hood ends and frames fastened with A4 stainless steel screws. 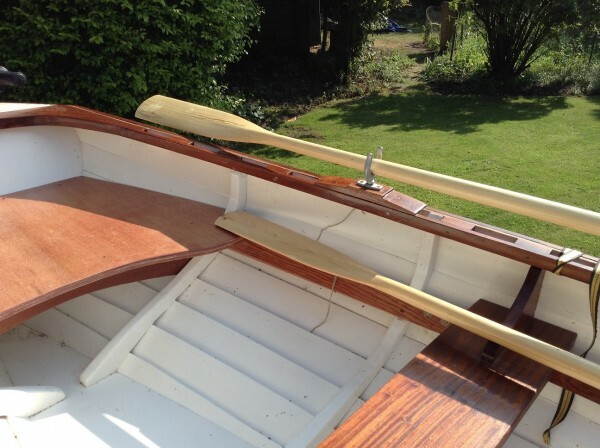 The boat was built on a flat keel plate as opposed to a more traditional narrow keel. This is a great design for this type of construction and it makes the boat easy to build and a good stiff load carrier when in the water. 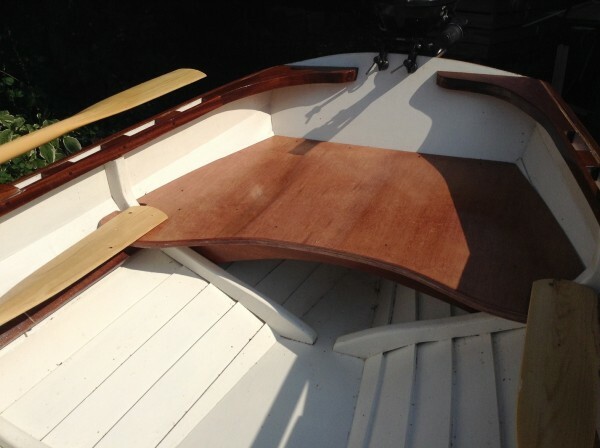 The keel and stem have been laminated out of 3 x 12mm layers of marine ply as were the 6 pairs of frames. 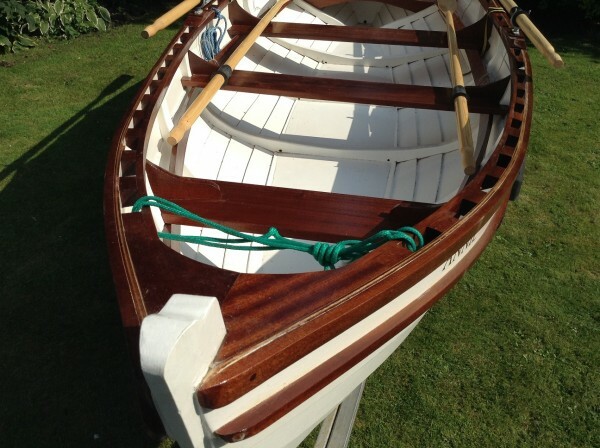 The transom, gunnels and thwarts are all made of solid Sapele hardwood. 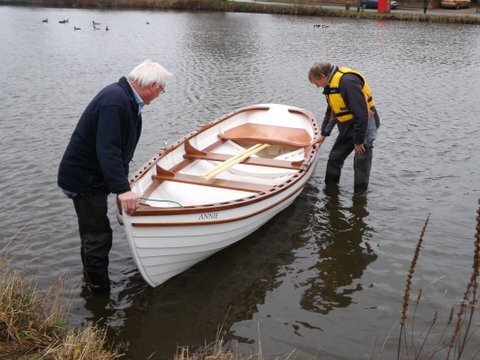 The boat comes with a galvanised road trailer and a combined launching trolley which has been modified to fit this boat to make towing, launching and retrieval very easy. 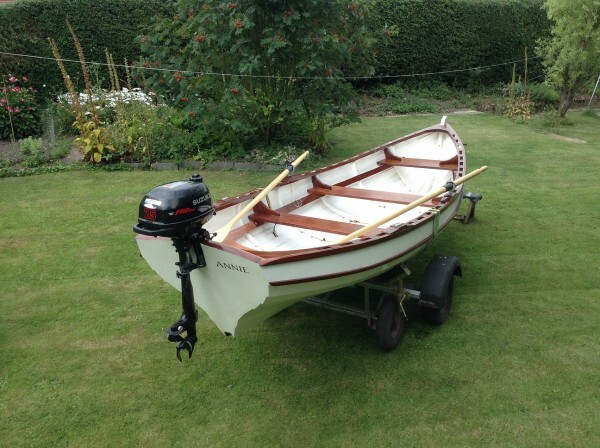 Suzuki 2.5hp four stroke outboard, hardly used and still in warranty.